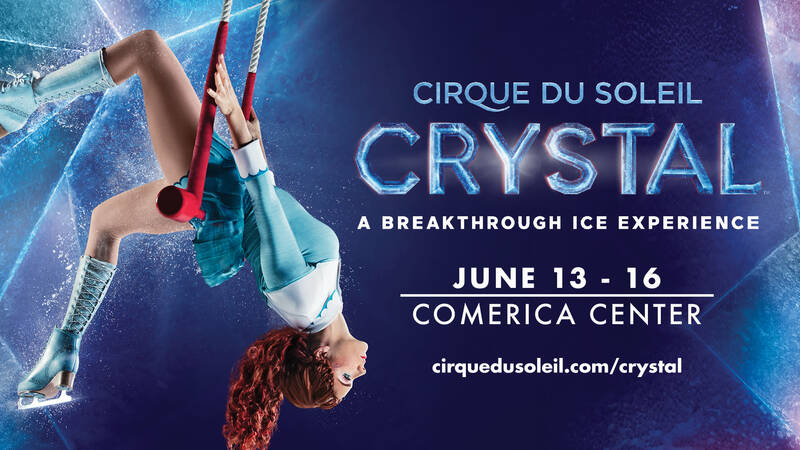 Cirque du Soleil Crystal™ — A Breakthrough Ice Experience will be in Frisco June 13-16th at Comerica Center. Watch world-class ice skaters and acrobats claim their new frozen playground with speed and fluidity as they challenge the laws of gravity with never-before-seen acrobatics. A new kind of performance as Cirque du Soleil meets the ice to defy all expectations. Crystal – an exhilarating journey of speed, wonder, and self-discovery! Thursday, June 13 & Friday, June 14 at 7:30 p.m.
Saturday, June 15 at 12p.m., 4 p.m. and 7:30 p.m.
Sunday, June 16 at 1:30 p.m. and 5 p.m.
For more information, please visit cirquedusoleil.com.